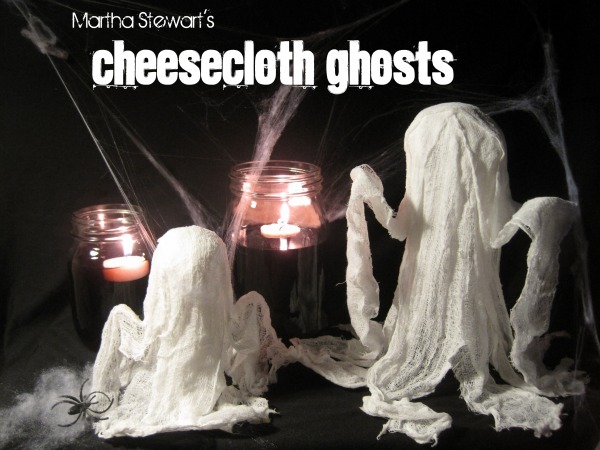 As the title suggests, this Halloween craft spook-tacular is brought to you by the fine people at Martha Stewart. The original tutorial is found here. All I've done is expand on the instructions. 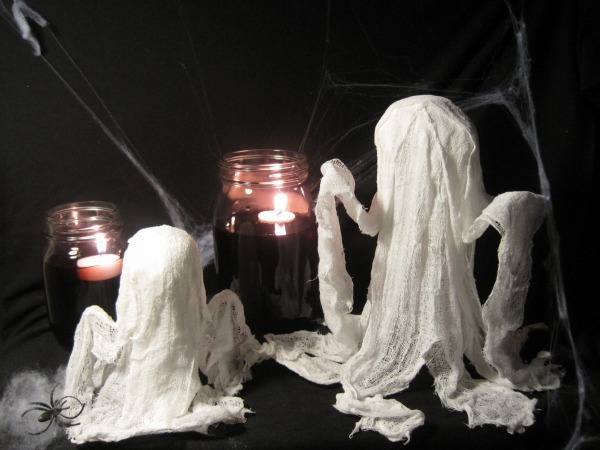 These little ghouls are so cool, because they really do look like ghosts! 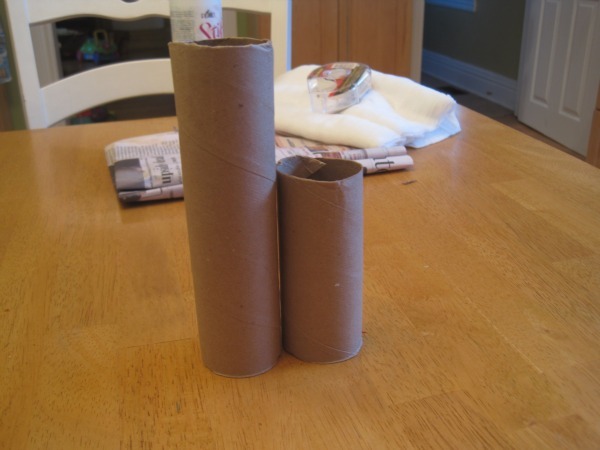 Cut your paper tubes down to size if desired. 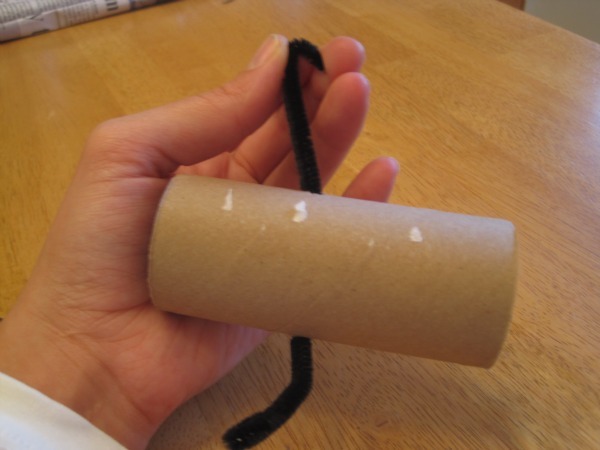 I used one paper towel roll and cut it so that it was divided into 2/3 and 1/3 lengths. 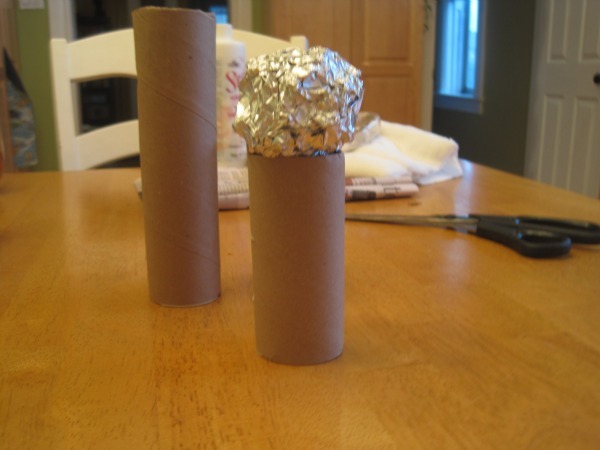 Scrunch a length of aluminum foil into a ball for the head. There's not a correct amount, just keep adding more layers if necessary to get the right size. 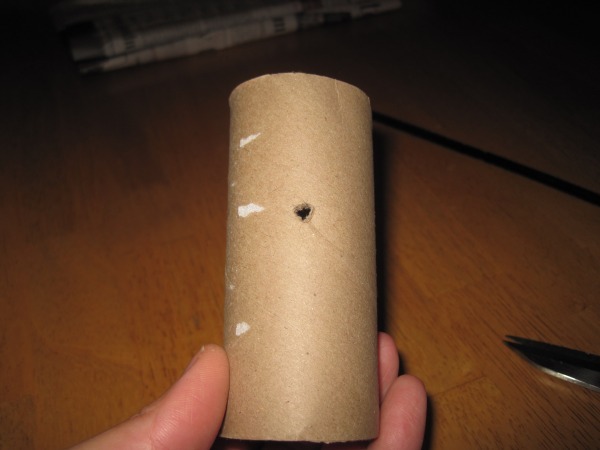 Poke a hole with your scissors on either side of the cardboard tube, about 5 cm from an end. 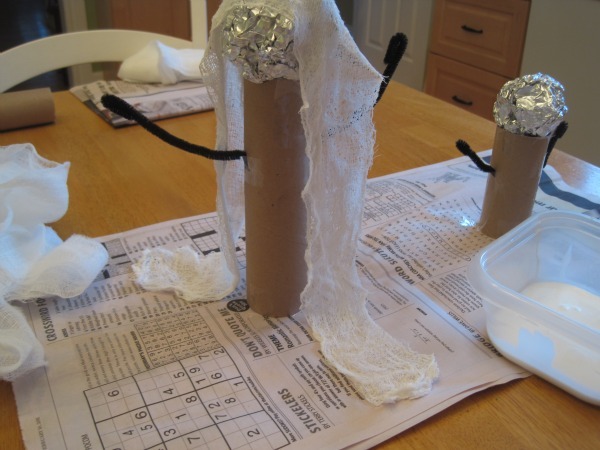 Thread the pipecleaner through the holes and bend them so they stick up as arms. You may want to reinforce the arms into position with some tape. 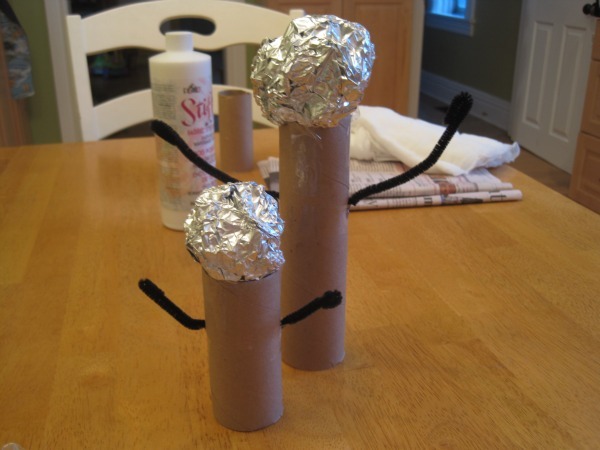 Tape the head down to the cardboard tube and attach the bottom of the tubes to newspaper with more tape. 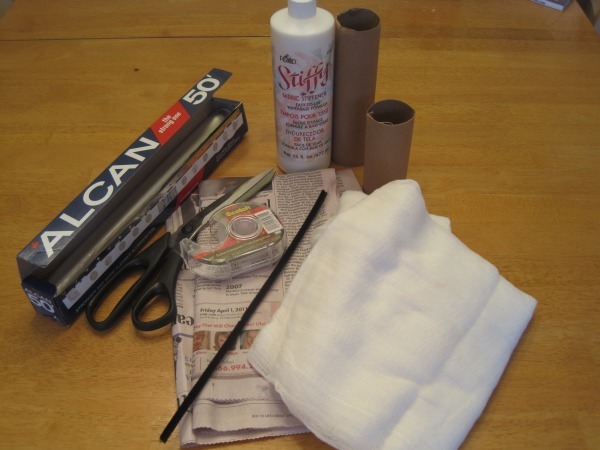 Martha's tutorial tells you to clip the bottoms of the tubes and fan them out before taping to the work surface. Either way works! Cut your cheese cloth into strips. 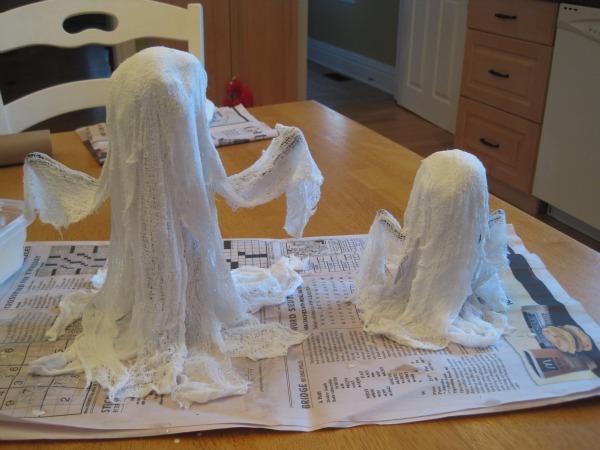 You'll want the strips long enough so that when they are draped over the ghost form they kind of pool a little at the bottom on either side. I unfolded the cloth until there were three layers of thickness. 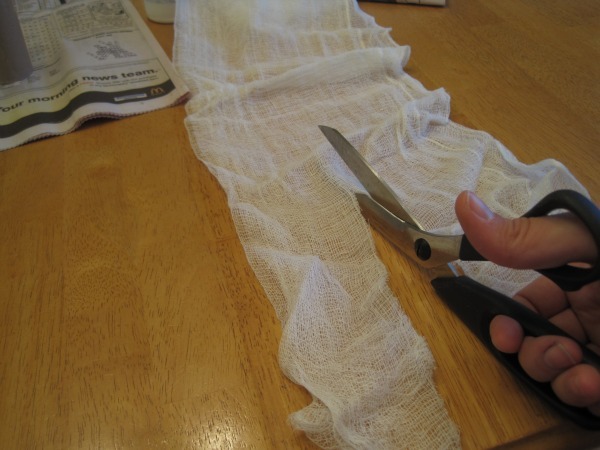 If you do a single layer, you'll be forever soaking and draping cloth! 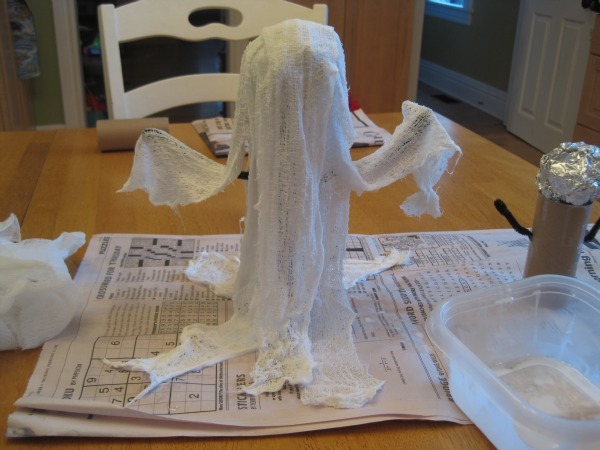 Pour the fabric stiffener into the plastic container, soak cloth strips, squeeze out excess and drape over ghost form. Continue until entire form is covered. I used seven strips for the large ghost and six for the small one. Let dry. Amount of drying time depends on how many layers of cloth are on your ghost and how wet the strips are, but this usually takes several hours. When completely dry, carefully remove from the form.